Becky Vickers(BECKS) - Everyday Ghost Hunters/Goatman's Bridge Ghost Tours: MCPIKE MANSION-THE GHOSTS HERE ARE WATCHING YOUR EVERY MOVE! 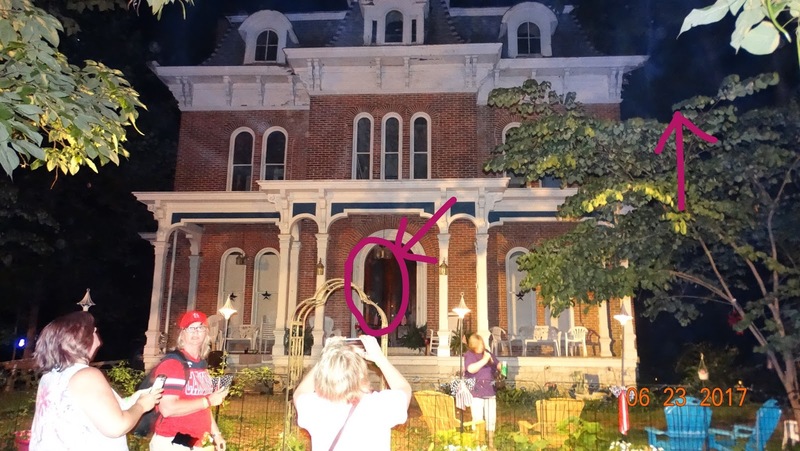 MCPIKE MANSION-THE GHOSTS HERE ARE WATCHING YOUR EVERY MOVE! What another great year at the Haunted America's Conference!!! I met so many wonderful people and had such a great time!!! The speakers where great, many of which I have had as guest on my show, Bridging the Paranormal. 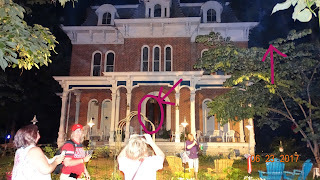 We investigated two places...McPike Mansion which is one of my favorites and also a new place this year....The Mineral Springs Hotel. I just got back home last night and will be going over the evidence from both locations. I know that most of you have read previous posts on the McPike Mansion but thought I would post some of the pictures I took this year. 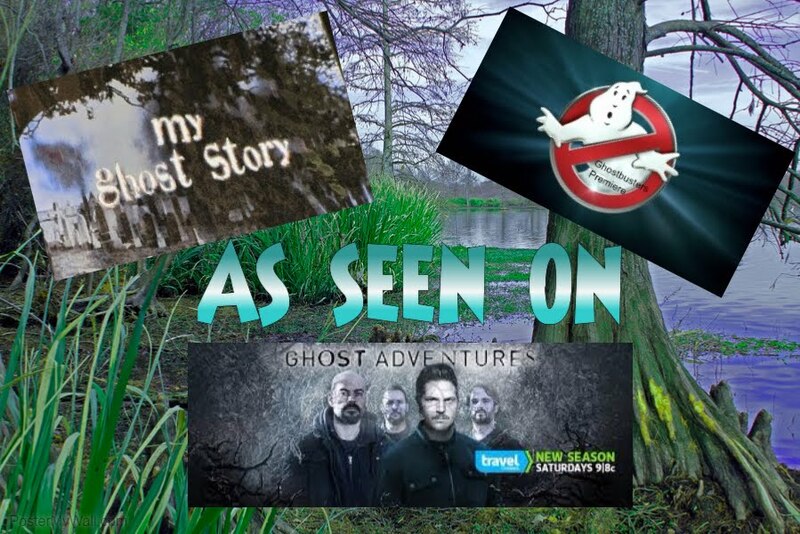 We didn't have a lot of activity and I haven't had time to go over the EVP's yet but in the past I have gotten some amazing EVP's from the cellar, so hopefully I will again this year that I will share with you guys later. But take a look at this one particular photo from the McPike Mansion. What do you see???? 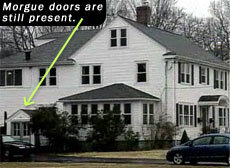 I circled what appears to me as a mist and possibly an apparition...Mr. Pike...maybe standing in the door....as it looks like a three piece suit with three buttons in the front....kinda like a vest. Without any circles or arrows. Here is a little history about the house. Sharyn and George Luedke are great about letting you take your time and take all the pictures and EVP's or whatever you like. I will be posting some really cool stuff about New Orleans, the conference and the haunted locations. I can tell you that we had one of the MOST AMAZING experiences at the Mineral Springs Hotel and I can't wait to put it all together and share it with you!!! The Cellar has been a focal point of many energies felt in the mansion. Looking in the front door. This is in the backyard at the McPike Mansion. They really don't know who is buried here. and Sharyn thanks again for letting up stay after everyone else had gone!